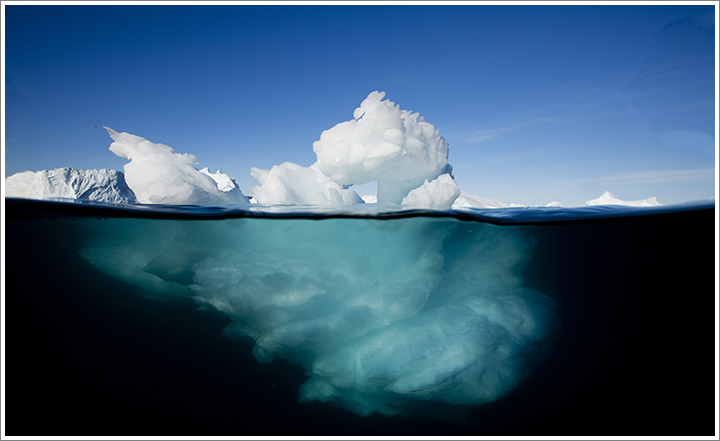 Underwater image of icebergs floating near face of glaciers in Jakobshavn Isfjord on summer afternoon. This entry was posted on Wednesday, June 16th, 2010 at 7:32 pm. It is filed under Underwater and tagged with Arctic, Europe, Global Warming, Greenland, Ice, Underwater. You can follow any responses to this entry through the RSS 2.0 feed.